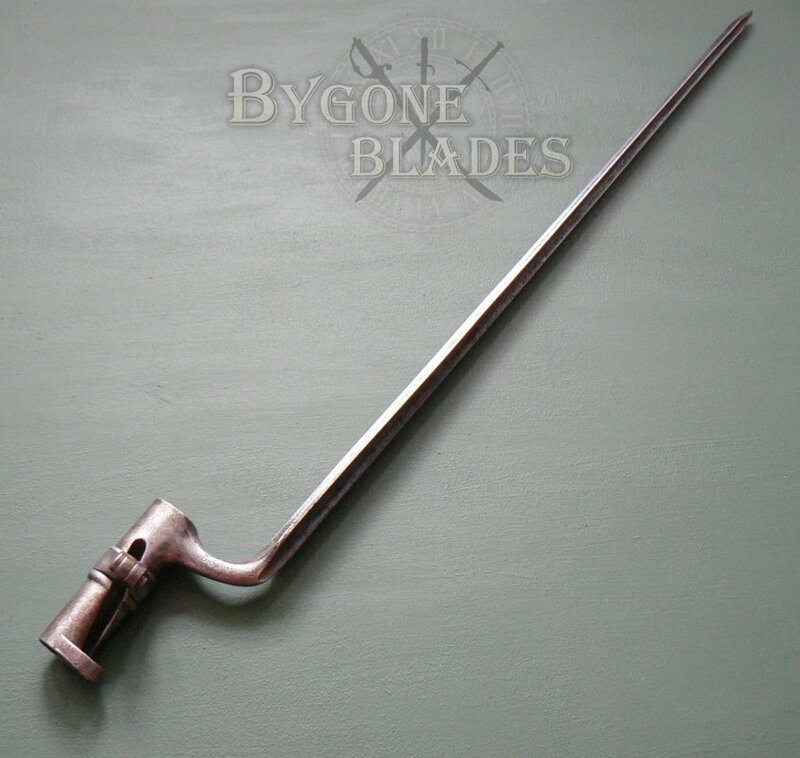 This bayonet was designed for the Austrian Model 1854 Lorenz Infanteriegewehr Rifle. 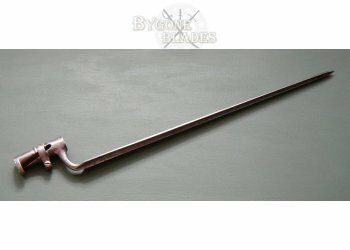 These weapons were used extensively by US Confederate troops during the American Civil War and, to a lesser degree by the Union Army. 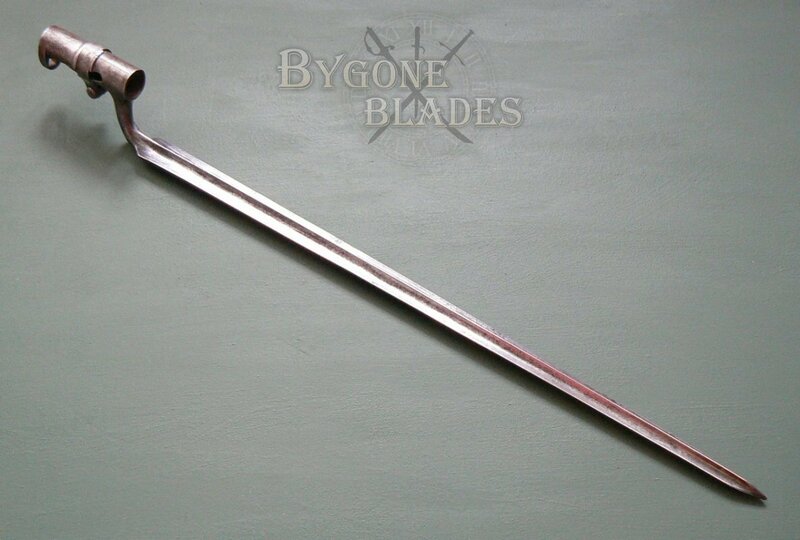 The Lorenz bayonet is easily recognized by the diagonal mortise slot in the socket and its cruciform blade. 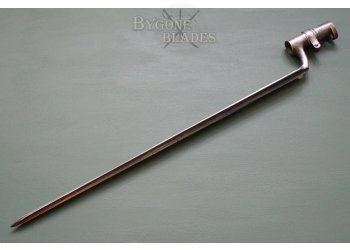 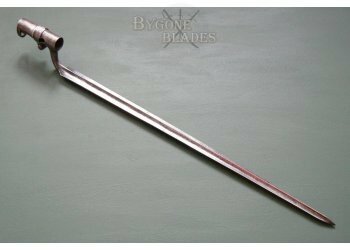 The bayonet has an issue or weapon number "3304"� stamped on the shoulder and faint markings on the obverse. 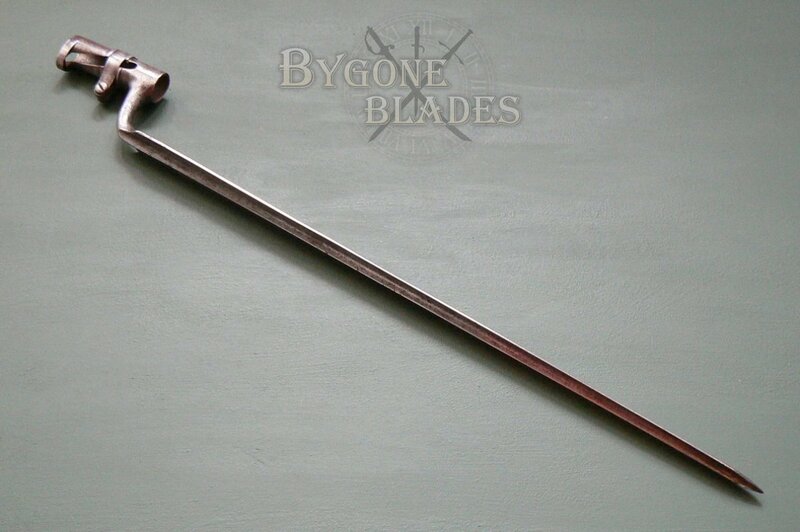 The socket is stamped with the number "35. 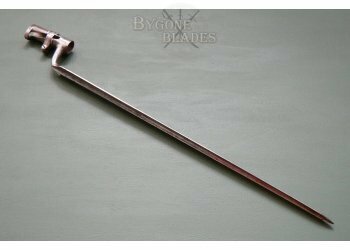 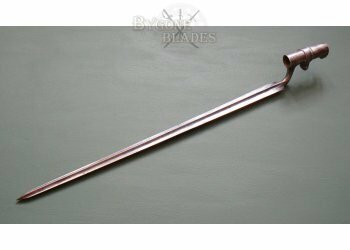 "� The 48 cm cruciform blade, socket and retaining ring are in very good condition with a pleasing age patina. 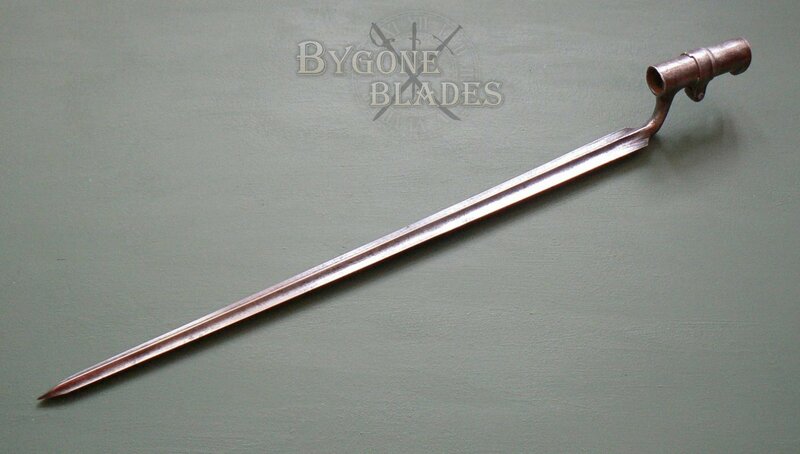 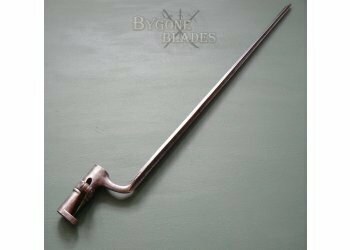 This is an increasingly hard to find bayonet in far better than average condition.